Around the time of the Vancouver 2010 Winter Olympics last year, Condé Nast Traveler voted Vancouver as having the Best Chinese Food In The World. I can attest to this proclamation. Sure, San Fransisco has some tasty and authentic Chinese eats, and apparently Queens, NY does as well. 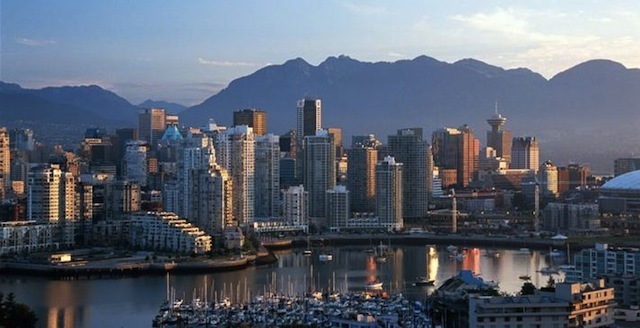 However, in terms of sheer variety, taste, and freshness, nothing compares to Vancouver. This Canadian city offers everything from Shanghainese, Cantonese (Empire Chinese Cuisine is always a good choice, especially now that it’s king crab season! ), and Szechuan cuisines, to Hong Kong Style cafes, dim sum restaurants, and bubble-tea joints. Interestingly, Condé Nast’s statement implied that Vancouver has better Chinese food than even China! It’s true. During our most recent trip to Hong Kong and Macau, I continuously compared every Cantonese dish I consumed to meals available around Vancouver’s lower mainland – Vancouver won hands down. After spending a year in Seoul, I now also find that many Korean dishes taste even better in Vancouver. (Ma Dang Goul is a great Korean restaurant to try in Vancouver’s West End). I believe a lot of it comes down to ingredients. Vancouver has a plethora of fresh seafood right on its doorstep. And let’s face it, Vancouver’s blessed with loads of clean water and air, compared to both HK and Seoul. I was sick for almost the entire year I was in the South Korean capital and largest city (my body was not accustomed to the air pollution). The stifling ‘yellow dust’ blown over from China during the spring…cough, cough, doesn’t help Seoul’s air quality. These factors must make a difference to the quality and taste of ingredients, non? Additionally, Vancouver offers a copious amount of Japanese restaurants on practically every street corner. Caution: there are many impostor sushi restaurants, owned and operated by non-Japanese chefs. However, an excellent and authentic Japanese restaurant in the Kerrisdale area of Vancouver is Ajisai Sushi Bar. Genuine Japanese ramen establishments have also made their way over to Vancouver: Ramen Sanpachi, Benkei Ramen, and Hokkaido Ramen Santouka. Although Vancouver is hailed as an Asian epicurean centre, I believe nothing compares to the South East Asian foodie haven that is glorious Singapore! Best Brunch In Vancouver, BC, Canada!